Jennifer Eremeeva Long Live The Imperials! As excitement over this month’s Royal Wedding reaches fever pitch, it seems appropriate for Russia to seriously consider a strategic return to monarchy. There are those who will feel that this is an incredibly complicated and possibly prohibitively expensive move, but it is clear to me that monarchy is not only readily affordable for Russia but, properly constituted, could go a long way to mitigating a number of Russia’s current issues. Sure, it’s expensive, but surely not as expensive as the Sochi Olympics and in every way imaginable a far superior long-term investment. I won’t reveal which of the candidates I think should wear the Cap of Monomakh (not in this month’s column anyway), but I will pose this question: what is a Stabilization Fund for if not to create stability, and the best way to do that is to get a crowd I’m calling “The Imperials” back to work as Heads of State in Russia. It’s hard to a impose hereditary monarchy on countries that are used to hundreds of years of representational government, but, happily, Russia doesn’t have that problem. The mindset is in place and, dare one say it primed, for a seamless return to Tsar Nicholas I’s trifecta of “Autocracy, Orthodoxy, and Nationalism.” The Church, traditionally a stalwart prop of monarchy, would be the first to sign up and lend the new monarch their not inconsiderable influence and support to get the populace on board. It’s a no-brainer. 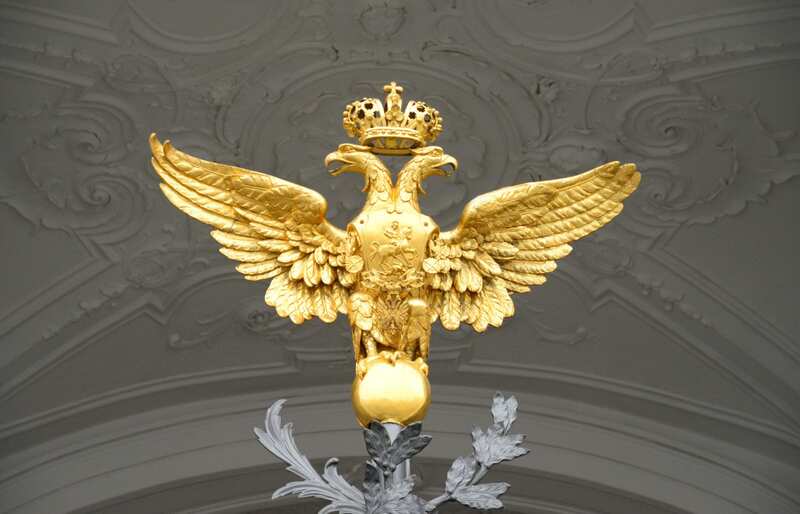 Russia has all it needs in terms of regalia: crowns, orbs, scepters, thrones, carriages, palaces, crown jewels, and a coat of arms. No additional expense necessary. None of what the “prschiki” in Russia call, “rebrendinguh.” Everything is sitting tucked up in the Diamond Fund, no doubt more than ready for an airing. The existing real estate just needs minor renovations such as indoor plumbing and it will be all set for the Imperials to move right in. It goes without saying that the Imperials would do wonders for Russia’s PR, both at home and abroad. At home, they could handle things like charitable causes: visit factories, schools, and open sports events. This would free up the people who run the government to run it, and not faff about on Channel 1. Abroad, the Imperials could spearhead things like bids for (more) major global sporting events. Or, better still, they could just have the occasional wedding at home, which would mean Russia wouldn’t need any major sporting events in the first place. Monarchy, of course, is to tourism what honey is to flies, so more money from that. And let’s face it while the KGB/FSB is an admirable school of management for many aspects of government, PR isn’t one of them. Finally, I for one feel that Russia deserves something a little bit more upmarket in terms of a cultural ambassador than Roman Abramovich or Xenia Sobchak. An acute problem with Russian society today is that everyone wants to go and have his or her fun elsewhere. Monarchy could change all that. The Imperials would foster and encourage fun at home, by creating a social calendar of events in Russia and thereby an axis around which the socially ambitious would revolve. They could make unlikely backwaters fashionable, just as Prince Albert did for Scotland. Imagine boating week in Volgograd, winter sports in Krasnodar, and the elk-shooting season in Omsk. The Imperials would make it chic to stay home, just as HM The Queen does. All those billions of rubles that normally go to Courchevel and St. Tropez flowing into the domestic coffers to say nothing of the more middle-class Middletonski wannabes trawling for Russian Grand Dukes. Royalty has an excellent track record at fusing class and brass and the Imperials could be put to very good use disseminating this new mindset in Russia, which today is rather more inclined towards the unfortunate twinning of brash and cash. The Imperials would lower the heels and get the jewelry off the men: two consummations devoutly to be wished. 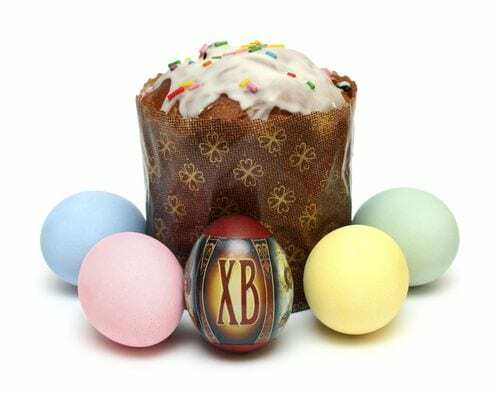 Imperial Warrants could motivate the production of high-quality goods such as Faberge Eggs, which are so much prettier than cloud computing. Monarchy is always a boon for the military, the only profession considered suitable for the male members of any Imperial dynasty. Once the Imperials take over, the army will become a competitive profession as smart regiments such as the Semenyovsky and Preobrazhensky are reconstituted. Families will stop paying money to keep their sons out and start paying money to get their sons in. Total rehabilitation. Belarus would be immediately incorporated into the newly constituted Russian Empire and the Heir to the Russian throne would be titled the Tsarevich and Grand Duke of Minsk. A version of this article first appeared in “Russia Beyond the Headlines” on April 20, 2011 and an online version of this can be found here. Hey there readers! What’s your take on monarchy in Russia? Good idea? Terrible idea? What are your plans for Friday’s nuptials? Are you a “stay up all night and have Coronation Chicken for breakfast” type or “what wedding?” grinch? I bet you can guess which your intrepid blogger is! Enjoy the day! I well remember your excitement at the nuptials of Prince Andrew and Fergie (now, didn’t that go well) so I expect you to be wearing a picture hat and pearls for this one. I am currently working on a production that sees me spending a lot of time in NYC and Toronto but it’s in my contract that I make it home for THE WEDDING. I’m in NYC now, but have just done my online shop to make sure all Coronation Chicken ingredients are delivered to my home in time for Friday. Judging by the mania for THE WEDDING I have witnessed in New York over the last few days I think the U.S. may be in line for a restoration of the monarchy too….. Loved it and can actually see two certain people thinking about it right now. Why not? Would I be remiss in assuming a certain film director, entrepreneur,egoist, etc. would agree with this?????? We all had a Fergie Bow period, now didn’t we?!?!?! Astonished to learn you are spending so much time a mere 3 hours by car from where I am. What’s wrong with this picture? Go whole hog…loved your post about he school. Hilarious! Enjoy the day, Teri! I can’t think either of the two you are thinking of make good options. I really enjoyed this post. Very funny. And I agree that Russia would suit a monarchy, and certainly has the – um – equipment. As to that wedding, I watched it unexpectedly and found myself even more unexpectedly moved by it. I suddenly felt a long way from ‘home’, which is strange because Moscow has been my home for a few years now. Who knew? I think that having a monarchy can be good for a country. They are non-political imperials who can intervene for/between the people and politicians in times of troubles, just like Thailand’s monarchy. Thailand’s king is well-loved and well-respected by the people and his monarchy has done so much good for his country.